Hi there, my darlings! I have another quick little post for you today! I'd like to show you a beautiful polish that caught my eye recently. When Missi of Different Dimension asked me to pick a few polishes to review, along with a set of Shooting Stars and a few beauties from the Winter 2014 collection, this polish immediately drew my attention--Heavenly Waters! 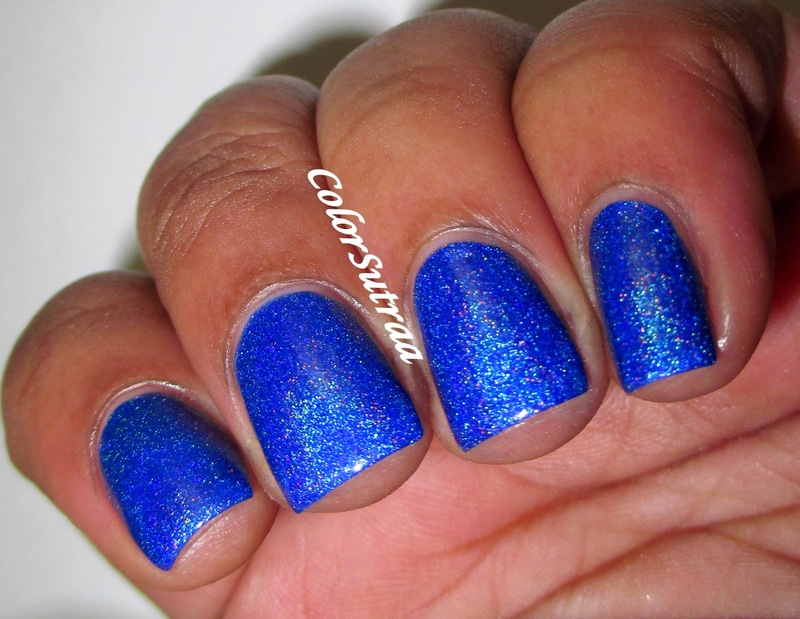 Heavenly Waters is a bright cobalt blue holographic polish with a touch of added blue shimmer. Fabulous application and formula--each coat went on buttery smooth and dried super quickly! The swatches below show 2 thin coats by itself. Such a gorgeous shade of blue! So there you have it, my darlings! I do believe Missi is restocking tomorrow, January 16th, 2015 at 9 pm EST so if you have your eye on this, or any of her other beauties, you can pick them up HERE for the price of $11.00 for a full-size, 0.5 oz bottle. 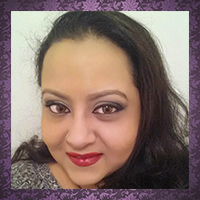 You can follow Missi of DIFFERENT Dimension on FACEBOOK and on INSTAGRAM for all the latest news and updates! Are you planning on picking up a few DDs at the restock? Which one(s)? Tell me in the comments section below!